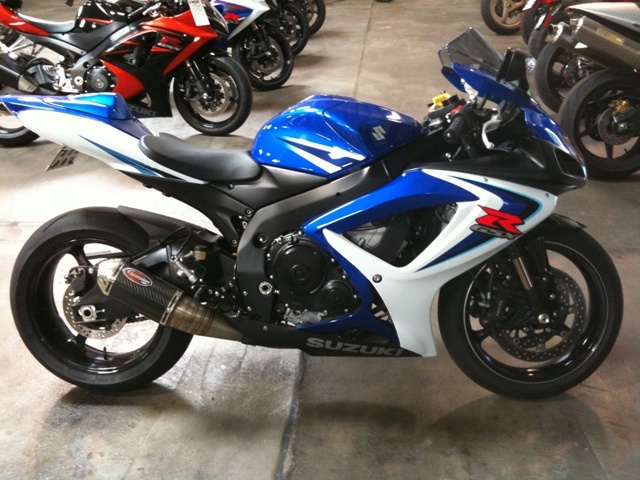 Description 2006 Blue/White GSXR 750 stolen from my apartment complex. Bike has a Lindenman Engineering sticker on the front forks and all warning stickers have been removed. The gas cap was a generic one which did not need a key to open. There is a slight nic on the gas tank near the tank cover.